Yeah, but: It's a little early for a retrospective. The Long Version: Thewsreviews is slightly over a year old. In a move that will surprise no-one who knows me, I missed its birthday. 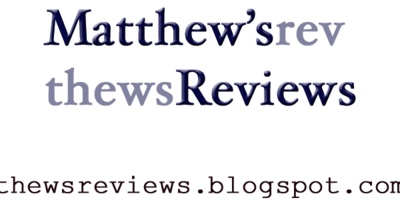 `Thew's Reviews started because I needed a hobby. My life as a photographer began when I needed something to get me away from work, both literally and figuratively. It kept me sane and with my former employer beyond all expectations, but eventually it backfired and I accidentally got a job at a camera store. My creative outlet and frivolous forum-surfing turned into something that I had no relief from. Writing is something that I've always enjoyed, but gave it up when it became clear that I suffer a crippling lack of anything to say. Writing reviews seemed like a good solution to that problem, and unlike every other hobby that has ever appealed to me, it's free. So this is my escape, and I just end up writing a lot about photography. As a further irony, the photography for this site is one of the things that I really enjoy. I'm a product photographer at heart, and enjoy solving problems about how to present something. But for many of the reviews I'll go the opposite way, and post images that I'd never even put on a MySpace account. (It's not that I can't take good photos, it's that I don't want to.) Other times there are little jokes included in the photo, like the iPod peeking into the corner of a book on photo composition, or the way I left the word "Toshiba" in the photo for Helvetica. I used my TV as a black background for a DVD review. I think I'm funny even when nobody else does. 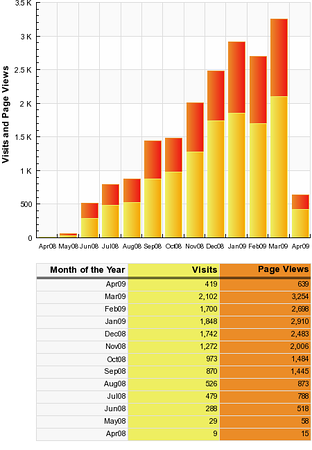 In one year, this site has had 12,000 visitors and 19,000 page views. It had a very small beginning, with only a handful of hits during the first two months, but in June `08 Keith joined the effort and it took off from there. This is the 89th post, and only the fourth non-review. The most popular reviews vary over time, with the two scooter reviews being popular during the summer but losing prominence once the cold weather came. The Olympus 35-100 lens review is typically one of the most popular pages, with the Sigma 150 Macro also being a favourite, but the Oly 7-14 barely attracts anyone. Camera bags happen to be really popular right now. But even though they account for a lot of traffic, photography-related reviews are less than a third of the site's content. Keith's Maglite Upgrade is rarely out of the top five pages, and the Omega Seamaster page has turned out to be a surprise hit. I reviewed those two watches together because I didn't think it was worth looking at either one alone. Some of the reviews are local to Toronto, and 17% of visitors are Canadian. That's also the same percentage of people who do not have English as their default language. 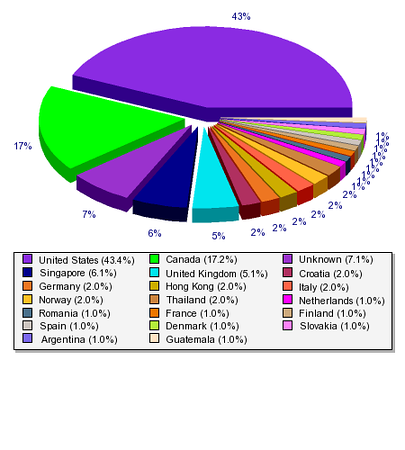 24% of visitors use Macintosh computers; Firefox accounts for about 40% of the browser share. Google accounts for nearly all visits, either through keywords or images, but I can see that there are a couple of people who keep track of the new content here. I hear that the weather in Florida is beautiful. So thanks to everyone who's visited, and especially those who have left comments that aren't trying to sell me peni senhancers. Thanks also to Keith, who adds an important note to the site that keeps it from being completely self-indulgent. I realize that this site is just a tiny speck in the blog world, with fewer hits in a year than many 'small' sites get in a day, but I'm still amazed at the reach that it has. There are google search results that put this humble little blog above Amazon.com - and that's just absurd. I'm going to leave the ratings blank on this one, so if anyone wants to leave a comment that suggests some, feel free. Just remember that something serviceable, decent, and reliable gets a ranking of "2", so mark low.